Our dedication to excellence is underlined by our product quality, technical support and customer service. This ensures the functional performance of our products always meets our customers’ needs. Staffed by scientists, bakers and food technologists, the ADM Milling Technical Centre gathers excellence and expertise for milling and baking. Its facilities are some of the best in the industry. These enable research and development into all aspect of the “field to flour” supply chain from wheat breeding to finished product assessment. Designed to match full-scale milling as closely as possible, using 5kg of wheat instead of 50 tonnes. Wheat performance is affected by many factors, such as the weather during the growing season. Therefor the ability to understand wheat performance on a small scale is essential for maintaining consistent flour quality for our customers. The laboratory provides comprehensive testing of wheat and flour. We use a wide range of techniques including traditional reference methods, scanning Near-Infrared Spectroscopy and bespoke tests. Our cereal chemists are always looking to improve and develop new test methods. We continually monitor our performance through third party accreditation and participate in many collaborative testing schemes, ensuring the accuracy of test results. The test bakery is flexible and multi-functional. We can adapt this to mimic all major process methods from craft to industrial scale. We also have a dedicated pastry bakery that provides the controlled conditions necessary for pastry work and other flour confectionery. We have designed our test bakery to minimize variability. Our rotary prover and travelling oven are invaluable for this, as they are far more controlled than a traditional static prover and deck oven. This means that we can carry out detailed experiments and meaningful statistical analyses. Over many years ADM has developed deep expertise with C-Cell and texture analysis. These are invaluable tools for ensuring consistent, comparable measurements of product quality. They also allow us to carry out statistical analysis, both between and across crop years. In addition to the standard tests, we have created a number of bespoke methods for a wide range of finished baked products. For a complete description of product performance, we also use subjective assessment. Our expert panel is skilled in providing a clear, balanced description of product quality. 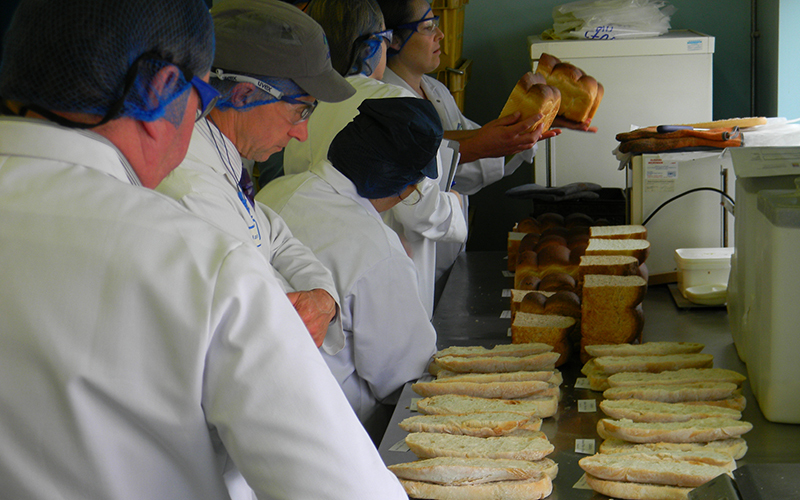 Our team of technical experts have a wealth and breadth of knowledge on all aspects of the food industry. Whatever your technical query, we will endeavor to assist you. Based throughout the UK, our customer support team provide advice and assistance to customers on their sites. All are qualified bakers with a wealth of experience in all bakery products and processes. Additionally, our Technical Centre-based staff ensure we are up to date with the ever-changing requirements of the food industry. If you would like to find out more information about our technical team or have a technical query, please contact your local ADM Sales Representative or to download the Technical Centre Brochure please click on the link below.